Forty-seven members (myself included) of Gladstone National Seniors enjoyed eight glorious, fine sunny days touring the east coast of Tasmania earlier this month. The tour gave us a wonderful taste of Tasmania and we were busy every day. The accommodation was first-rate, and the staff were 5-star in their service to us all. On arriving in Hobart, we were met by Coal River Coaches, the bus company who was looking after us for our tour. Tasmania is a tourist mecca and it had so much to offer. We spent four nights in Hobart where we took in Mt Wellington, the Derwent Valley, which included the Russel Falls in the Mt Field National Park, the Salmon Ponds and Richmond. We had a free day in Hobart and many started with the Salamanca Markets which were down the hill from our hotel. Some of our group took advantage of the entry tickets to the Hobart Maritime Museum and Mawson Historic Hut while others looked at “MONA” (described as a museum of old and new art) and the Cascade Brewery. Our last day in Hobart was a bus trip south into the Huon Valley. This was a wonderful trip with a lot of favourites like the Wooden Boat Building Centre at Franklin and the 600-metre Tahune Air Walk. We finished off the day at Willie Smith’s Apple Shed. Saying goodbye to Hobart, we travelled to the Tasman Peninsular and Port Arthur. On the way, we took in Pirates Bay Lookout, Eaglehawk Neck, Tasman’s Arch, Devil’s Kitchen and Doo-Town, plus we visited the Tasmanian Devil Unzoo. Then we were taken to the Historic Port Arthur Site and we took a 25-minute cruise from Ferry Dock to the Isle of the Dead and Point Puer Boys Prison. Next morning, we were on our way along the East Coast to Bicheno. We called in at Swansea and continued to Coles Bay and on to Freycinet National Park. Some of the group took on the climb up the dramatic Hazards, where they had picture-postcard views and the rest of the group visited Cape Tourville lighthouse and boardwalk for panoramic views. Once in Bicheno we went on the Penguin Tour and it was great to see these little fellows up-close and personal. On leaving Bicheno we headed for Campbell Town where we found the Red Bridge and the convict brick trail where each brick is dedicated to a convict, with their details on it. There are wood carvings on several of the old trees beside the bridge and these were done in later years and are a work of art. On reaching Launceston, we spent the next couple of hours visiting the Queen Victoria Museum, then the Cataract Gorge where many climbed aboard the Scenic Chairlift. There was much to explore in this area. Once on the Basin Chairlift, it is easy to just sit back and experience the breathtaking views and the suspension bridge just a little further up the river. 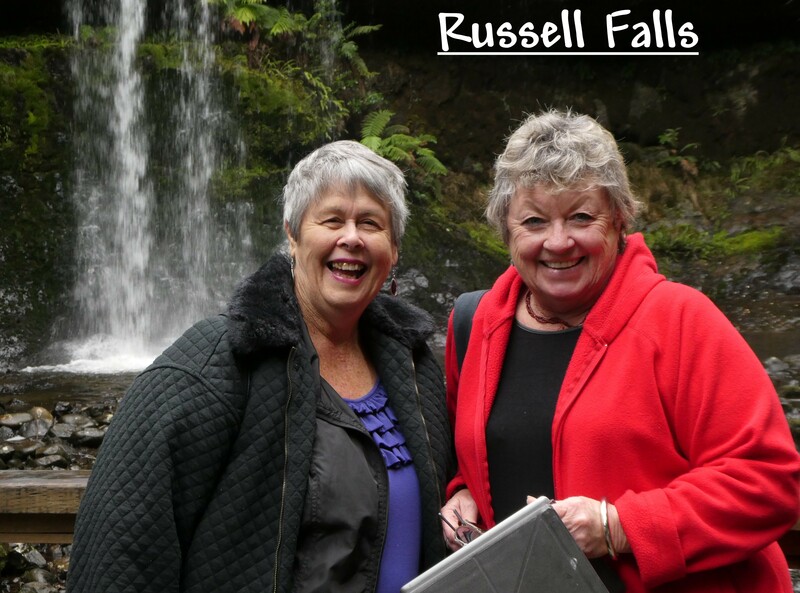 Our last day was to tour the Tamar Valley and we were particularly interested in the rich history of Beaconsfield and the West Tamar region. We viewed the Grubb Shaft Engine-house Museum and the Beaconsfield Gold Mine, the latter with sadness, as we remembered the mine collapse in 2006. The next exhibitions were at Beauty Bay where we found the Platypus House which is a close up display of both Platypuses and Echidnas, and Seahorse World, a working Seahorse Farm. This was a wonderful trip where everyone mixed in and had a good time. A tour like this doesn’t just happen and thanks must go to Raymond (our tourist agent) and Barb (GNS Tour Guide). Thanks also to Carol (Assistant Tour Guide) who along with her husband Alan was there to help Barb when needed.